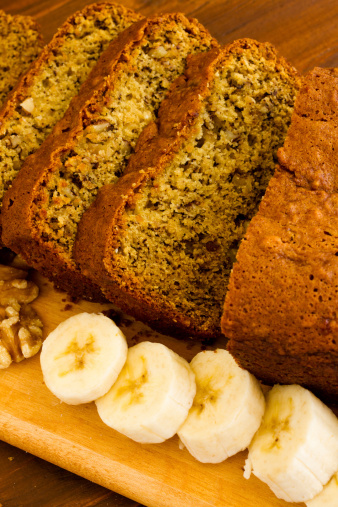 This healthier banana bread recipe replaces some of the traditional ingredients with more health-conscious ingredients. Don't worry! The healthy ingredients aren't replacing any of the traditional deliciousness! Mash bananas and combine with honey. Add butter and yogurt to the flour mixture and stir until smooth. Pour the entire mixture into a loaf pan. Bake for about 60 minutes or until a toothpick put into the middle of the bread comes out clean. Allow to cool for 10 minutes before removing from the loaf pan and allowing to cool completely on a rack.